Six groups of factors, which influence nerve regeneration, and consequently, the final result of a nerve repair may be distinguished, i.e., general factors, type and site of the lesion, timing, coaptation technique, biomolecular factors. 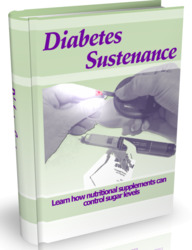 In this group we include such parameters as the patient's age and general health. Associated diseases may influence nerve regeneration such as diabetes, metabolic dysfunctions, as well as does the use of alcohol or drugs. When the nerve is injured along its trunk, regeneration is also influenced by the lesion margins, surrounding tissues and nerve substance loss. We will also examine special types of lesions: avulsion injuries. A neat lesion leads to better results, while crushed stumps, even if well repaired, will give fibrous reaction inside the nerve with a consequent difficult nerve regeneration. The contused nerve stumps must be excised and a good trimming is essential. When a nerve has been damaged by a clean cut or when a crushed injury may be transformed into a neat one without sacrificing too much nervous tissue, a direct suture can be performed. 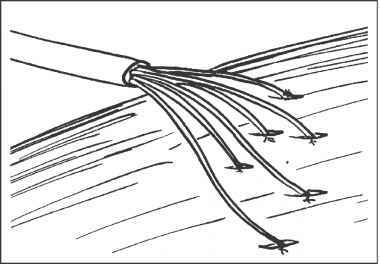 Literature has described numerous techniques of nerve suture (epineurial, perineurial, epiperineural, etc. see Fig. 2.1). We shall describe the technical details while enumerating the technical factors influencing regeneration. On the contrary, the loss of nervous tissue must be repaired by the use of grafts and since the studies carried out by Millesi the use of interfascicular nerve autografts represents the "golden standard" for this kind of lesion (Fig. 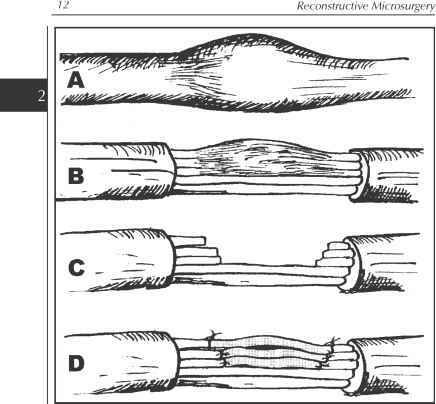 2.1E).2 Nerve grafts bridge the gap, guide regeneration and protect axons against the surrounding scar. Indeed, the introduction of nerve grafting greatly improved both the possibility and results of nerve surgery, even if, in the presence of a nerve gap over 10 cm, prognosis is poorer.11 Generally, we use the sural nerve as the donor nerve, or, in some cases, other pure sensory nerves such as the medial cutaneous nerve of the arm or forearm, or the posterior interosseous nerve at the wrist. However, this creates a damage in a sound area (skin scar, sensory loss in the donor area, risk of neuroma formation); moreover, at times these autografts are not long enough to repair the nerve gap. 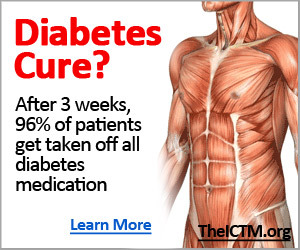 This is why a number of authors looked for new techniques and tried to fill the nerve gap with "tubes". The use of tubes (synthetic or biologic such as veins or muscle) are able to guide the axonal regeneration without sacrificing sound nerves (Fig. 2.1F). We shall examine the advantages and problems of this kind of reconstruction while describing the influence of biomolecular factors on nerve regeneration. Although the use of nerve "allografts" could solve the problems from the nerve grafts donor site, the need for immunosuppression and the poor results of the few clinical experiences to date keep this technique, at least for the moment, in the experimental field.12 In fact, allografts appear to function only as long as the immunosuppressed state is maintained as the tissue surrounding the host axons remains allogenic and once immunosuppression is stopped rejection and loss of the regained nerve function follows. If continuous research leads to better drugs with a lower toxicity, the use of allografts would then become a viable alternative. Some authors described, and used for some years, "vascularized" nerve grafts.13 Microsurgical transfer ofwhole nerve segments with their vessels allows the grafting of nerve lesions even in avascular beds regardless of graft diameter. This should guarantee an improved blood supply at the nerve injury site with consequent rapid revascularization of the interposition nerve grafts and a better axonal regeneration. However, even those authors who initially reported quicker recoveries compared to traditional small avascular grafts, no longer use this technique as its real advantages do not justify the complexity of this surgery. This is the most challenging of all nerve lesions often combining all or many of Sunderland's five degrees of injury. This represents a dilemma for the surgeon as it involves a mixed injury pattern in the various fascicles of the nerve with normal function through some of them and varying degrees of injury in others (Fig. 2.2A, 2.2B). The macroscopic appearance of the nerve (i.e., presence of scar tissue) may help the surgeon but intraoperative electrodiagnosis (electrical nerve stimulation or PESS) is also helpful. The surgeon must take great care not to injure intact fascicles, while the fourth and fifth degree injury patterns will require surgical reconstruction (excision and grafting) (Fig. 2.2C, 2.2D). The nerve may be avulsed at its origin from the spinal cord or when it comes into contact with the final target (muscle or sensory receptors). These lesions cannot be repaired by means of sutures or grafts. Fig. 2.3. Median to ulnar nerve neurotization. A: The sensory and motor branches of the median nerve are prepared. B Neurotization of the ulnar nerve by means of the two branches. Fig. 2.3. Median to ulnar nerve neurotization. C: ulnar nerve palsy following complex lesion above the elbow. D: Positive Froment sign. in several experimental works,21 and some clinical reports22 seem to suggest a promising role for this technique in special selected cases. Median to ulnar nerve neurotization. E, F and G: Clinical result 6 months neurotization. Fig. 2.4. Direct muscular neurotization. Nerve fascicules are placed, spread over the muscle surface, with single stitches in small slits made in the muscle. Fig. 2.5. Maps of the median nerve at different levels. Fig. 2.7. A: Mismatching of the single fascicules is possible inside an epineural suture. B: Tubes allow spontaneous orientation of regenerating axons. The site of the lesion is very important both for the level of the injury and the anatomical district. The more proximal the lesion, the more difficult it will be to obtain a good functional result as fiber mixing increases at the proximal levels. The nerve becomes simpler distally as it leaves its collateral motor or sensory branches. Distally, the terminal branches organize to reach their final targets, so, the best results can be obtained at a distal level. Therefore, from a prognostic point of view, we may divide the possible lesion sites into 4 groups with inferior results from proximal to distal: plexus—nerve trunks—well defined peripheral nerves—terminal branches. This factor is important when considering the possibility of performing a direct suture or using grafts to repair a nerve gap without inducing tension on the nerve stumps themselves. Tension is one of the main elements which influences the quality of nerve repair and will be discussed in detail further on. Several authors suggest that a direct suture can be performed if the nerve gap is between 0.5 and 2 cm. The anatomical site is important, in as much as it influences the possibility to mobilize the nerve stumps: 0.5 cm gaps need a graft at finger level, while 2 cm gaps may be solved by a suture at the axilla for as it is possible to approximate the stumps. At the elbow level, an injured ulnar nerve may be directly sutured rerouting it anteriorly, even in the presence of a 2 cm gap. Several studies showed that primary nerve repairs give better clinical results than delayed ones.24,25 However, experimentally, nerve regeneration is improved if the repair follows the lesion at 3-4 weeks. Therefore, some authors25 prefer waiting 20-60 days before performing nerve reconstruction. Primary repair is, however, always to be preferred in neat, isolated and distal lesions or in replantation surgery. The time interval between injury and nerve repair is a critical factor and has been investigated at length. Distal to the lesion, irreversible changes take place in both the nerve and the distal end organs (muscles and sensory receptors). In the nerve, after Wallerian degeneration has brought about its well known changes, as time goes by Schwann cells gradually disappear, the nerve trunk becomes fibrous and axonal regeneration is difficult. Muscular fibers, if denervated for a long period, degenerate and, even if nerve ingrowth is later induced, their function is jeopardized. The type of muscle involved is also important: the small intrinsic muscles of the hand need a quick reinnervation for an optimal recovery. The conclusion may then be that 12-18 months after a nerve lesion any attempt at surgical repair, more often than not, leads to failure. The main technical factor that dramatically improved nerve repair and the clinical results is that of the introduction of magnification. Nowadays, loops and the microscope are mandatory in this kind of surgery. Fig. 2.8. Combined muscle-vein conduit. A, B and C: Single steps of tube preparation. D: final reconstruction (nerve stumps are inserted 2-3 mm into the vein). Nerve stump trimming is another important factor. Meyer28 developed personal instruments (guillotine type) to obtain a neat cut (Fig. 2.6A). 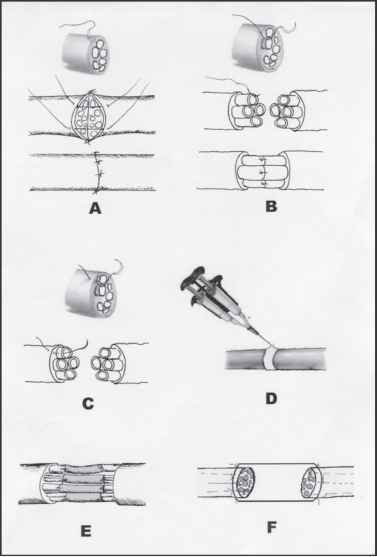 DeMedinaceli29 pointed out the importance of liquid outflow from the cut ends of the trimmed nerve: then he developed a technique which consists in the cutting of the previously frozen nerve stumps and then suturing them with the help of a mini reabsorbable plate to transfer tension far from the suture site (Fig. 2.6B). We are of the opinion that a clean cut obtained with a microsurgical blade is sufficient. As to suture materials, nerve sutures may be performed by means of traditional threads or alternative techniques such as fibrin glue or laser nerve welding. Generally, microsurgeons still prefer traditional monofilament threads (nylon, polypropylene) because of their biocompatibility and for absence of local inflammatory reaction. Furthermore, the use of single stitches give the surgeon the opportunity to coapt opposing fascicles in every single case. Over the years there has been much discussion as to the superiority of perineurial sutures versus epineurial ones (Fig. 2.1A-2.1B) and the question is still under debate. Millesi supports the idea that epineurial tissue may cause greater fibrosis at the suture site and fascicle facing is easier when epineurium is removed and single groups of fascicles are sutured by means of their perineurium. Other authors suggest that loose epineurial sutures give less fibrotic reaction and better clinical results even if a perfect coaptation of the single fascicles is impossible inside the nerve (Fig. 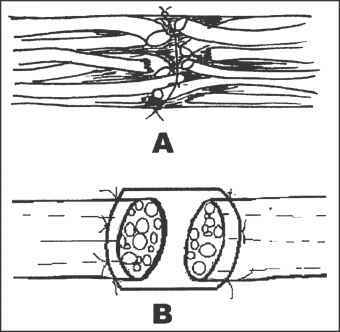 2.7A).10 Experimental research has shown no difference between the two different techniques.30 Lundborg9 says that, at proximal levels, where separate fascicles contain a mixture of fibers with different tasks, there is no reason to put any effort into coapting separate fascicular units by perineurial stitches; on the other hand, at distal levels where branches are well defined, the fascicular suture technique might have a place. We are of the opinion that a combination of epineurial and perineurial stitches may often have a place in suture techniques: perineurial stitches are used to secure defined fascicular groups in position and part of epineurial tissue is preserved and sutured to assure the strength and main orientation of the whole nerve. In the case of interfascicular nerve grafting we prefer the use of epiperinurial stitches (perineurium of the lesioned nerve fascicles and epineurium of the sural grafts) as suggested by Millesi. Fibrin glue, composed essentially of two components (human fibrinogen + apoproptin, which are fibrinolytic inhibitors, and thrombin, that activates fibrino-gen), makes for an easier and faster suture. It has been used systematically by some authors especially for nerve grafting.31 The glue assembles sural nerve cables, and is also used for the suture site, thus saving time and giving similar clinical results to the ones reported with traditional sutures (Fig. 2.1D). Laser welding avoids the introduction of foreign materials into the repair site and is based on denaturation and renaturation processes caused in proteins by thermal heating by the laser beam. Although some authors claim that laser repair leads to inferior scar formation,32 despite the advantages, laser coaptation lacks tensile strength. Scar formation is another factor which has to be technically contrasted; as already stated, tension must be avoided while reconstructing peripheral nerve lesions and nerve sutures must be surrounded by well vascularized soft tissues. Nerve regeneration may not be present at times even after a good surgical reconstruction as a result of scar formation. If the surgeon is in doubt from no further advancement of the Tinel sign and lack of muscle recovery, neurolysis must be carried out. During the surgical revision we may check the suture lines and an external neurolysis may be performed; deep internal neurolysis is not useful and may devascularize the regenerating fibers. 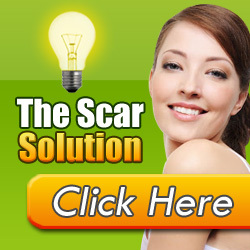 New scar formation may also be prevented by local or microsurgical flaps or even by barrier substances (Adcon TN). Several morphological and biochemical changes occur in the nerve cell body following the transection of a nerve trunk. This reflects the changes in the synthesis of cytoskeletal elements which are required to replace the loss of axon substance. At the site of axonal injury, sprouts start to grow distally and several biomolecular factors are involved to support the outgrowth and direction of axoplasm. Neurotrophic factors are endogenous soluble proteins influencing survival, development and morphological plasticity of nerve cells ("neurotrophism"). These factors are synthesized in neurons, muscle, glands and are classified on the basis of their receptors: neurotrophins (NGF, BDNF, NT-3, NT-4/5), neuropoietic cytokines (CNTF, IL-6), fibroblast growth factors (aFGF, bFGF,FGF-5, FGF-6), insulin gene family (ITF-I, IGF-II, insulin) and others (LIF, EGF, TGFa, TGFp, CDNF). The prototype for a trophic factor, the nerve growth factor (NGF),3 binds to its receptors, is internalized in vesicles and then transported, by retrograde axonal transport, to the cell body, where it exerts its action. Neurotropic factors influence the axonal growth direction by exerting an attraction at a distance ("neurotropism"). These factors, delivered by the distal nerve segment, create a concentration gradient. It is not strictly correct to separate "trophic" and "tropic factors" completely, and it has been suggested to use the terms "trophic" and "tropic influence": factors secreted by non-neuronal cells in a distal nerve segment after an injury which normally have a trophic influence that may act like tropic factors, thereby exerting an attraction at a distance, influencing also the axonal growth direction. Neuritepromoting factors (NPF) are substances promoting the growth cone formation. Laminin and fibronectin are examples of substances included in the extracellular matrix wile N-CAM and L1 are examples of cell surface molecules providing adequate adhesions for the advancing sprouts. The better understanding of these biological factors involved in the nerve regeneration process guided researchers in their efforts to improve nerve repair. Indeed much has been done to overcome problems connected with the correct orientation of fascicles not only in direct sutures but also with regard to nerve repair in the case of loss of nerve substance. These two problems have both been faced by the development of the so-called tubulization techniques. The tubulization principle represents a biological approach to a nerve injury, in which the role of the surgeon is limited and special emphasis is given to the role of intrinsic healing capacities of the nerve tissue itself. 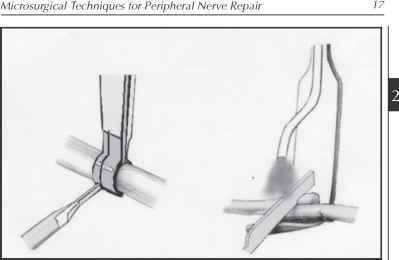 As for the repair of peripheral nerve defects, it is usually accomplished using the aforementioned fascicular grafting technique. This provides continuity of the stumps, with minimal or no tension, and supports axonal regeneration by means of the Schwann cells and/or the inner surface of the Schwann cell columns, protecting against surrounding scar tissue formation. 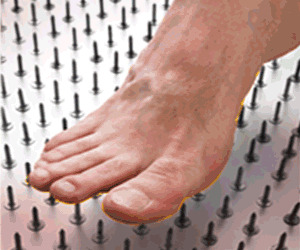 However, even if this technique usually provides good functional results, there are some problems in its application: it does require an extra surgical procedure that may lead to damage created by the withdrawal of a healthy nerve (surgical incisions in sound areas, sensory residual deficits). Furthermore, graft material is limited (in terms of length) especially in cases requiring the repair of extensive lesions, such as brachial plexus lesions. Many biological and synthetic materials have been tested to bridge a peripheral loss of substance: arteries, veins, mesothelial chambers, predegenerated or fresh skeletal muscle, empty artificial tubes, resorbable or not, tubes filled with growth factors and/or Schwann cells. Unfortunately, all of these "tubes" are useful for short distances only. In particular, vein or other empty tubes collapse in gaps over 1-2 cm and axon loss may occur in muscle grafts. Therefore, a major limitation of tubulization grafting techniques is the fact that they can be used only for short distances (1-2 cm). Therefore, we put foreword the hypothesis that the support of the basal lamina, and chemiotrophic and chemiotropic substances originating from the distal stump, do indeed reach the regenerating axons and correctly guide them to their final target tissue.39 This may well explain our good clinical results, whilst traditional nerve grafting techniques somehow forces the orientation of regenerating axons. 1. Waller A. Experiments on the section of glossopharyngeal and hypoglossal nerves of the frog, and observations of the alterations produced thereby in the structure of their primitive fibers. Philos Trans R Soc London (Biol) 1850; 140:423-429. 2. Millesi H. Interfascicular nerve grafting. Orthopaedic Clinic of North America 1970; 2:419. 3. Levi-Montalcini R, Hamburger V. Selective growth stimulating effects of mouse sarcoma on sensory and sympathetic nervous system of the chick embryo. J Exp Zool 1951; 116:321-362. 4. Lundborg G, Longo FM, Varon S. Nerve regeneration model and trophic factors in vivo. Brain Research 1982; 232:157-161. 5. Varon S, Adler R. Tropic and specifying factors directed to neuronal cells. Adv Cell Neurobiol 1981; 2:115-163. 6. Seddon H. Three types of nerve injury. Brain 1943; 66:237-288. 7. Sunderland S. A classification of peripheral nerve injuries producing loss of function. Brain 1951; 74:491-516. 8. Nerve Repair and Nerve Grafting. In: Mackinnon SE, Dellon AL eds. Surgery of the Peripheral Nerve. New York: Thieme Medical Publishers Inc., 1988. 9. Lundborg G, ed. Nerve Injury and Repair. Edinburgh: Churchill Livingstone, 1988. 10. Tupper JW, Crick JC, Matteck LR. Fascicular nerve repair: A comparative study of epineural and fascicular (perineurial) techniques. Orthopedic Clinics of North America 1988; 1:57-69. 11. Hentz VR, Narakas A. The results of microneurosurgical reconstruction in complete brachial plexus palsy. Orthopedic Clinics of North America 1988; 1(19):57-69. 12. MacKinnon SE. Nerve allotransplantation following severe tibial nerve injury. Case report. J Neurosurg 1996; 84:671-6. 13. Taylor JG, Ham FJ. The free vascularized nerve graft. Plast Reconstr Surg 1976; 57:143. 14. Carlstedt T. Spinal nerve root injuries in brachial plexus lesions: basic science and clinical application of new surgical strategies. Microsurgery 1995; 16:13-6. 15. Narakas A. The surgical management of brachial plexus injuries. In: Daniel RK, Terzis JK, eds. Reconstructive Surgery. Vol 9. Boston: Little, Brown 1977. 16. Allieu Y, Privat JM, Bonnel F. Paralysis of the brachial plexus. Neurotization by the spinal accessory nerve. Clinics in Plastic Surgery 1984; 11:133-137. 17. Brunelli G, Monini L. Neurotization of avulsed roots of brachial plexus by means of anterior nerves of cervical plexus. Clinics in Plastic Surgery 1984; 11:149-153. 18. Gu YD, Chen DS, Zhang GM et al. Long-term functional results of contralateral C7 transfer. J Reconstr Microsurg 1998; 14:57-9. 19. Oberlin C. Nerve transfer to biceps muscle using a part of ulnar nerve for C5-C6 avulsion of the brachial plexus. 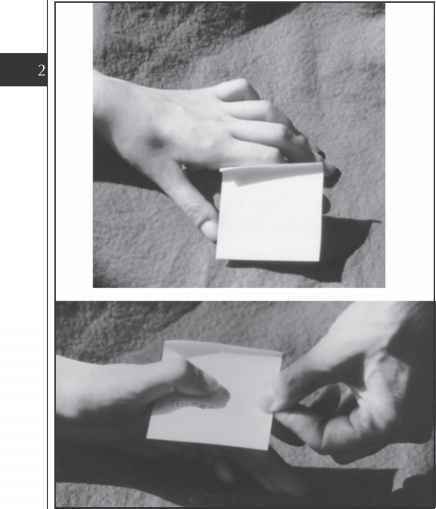 Journal of Hand Surgery [Am] 1994; 19:232-237. 20. Battiston B, Lanzetta M. Reconstruction of high ulnar nerve lesions by distal double median to ulnar nerve transfer. J Hand Surg [Am] 1999; 24:1185-9. 21. Viterbo F, Trindade JC, Hoshino K et al. End-to-side neurorrhaphy with removal of the epineurial sheath: An experimental study in rats. Plast Reconstr Surg 1994; 94:1038-47. 22. Luo Y, Wang T, Fang H. Preliminary investigation of treatment of ulnar nerve defect by end-to-side neurorrhaphy. Chung Kuo Hsiu Fu Chung Chien Wai Ko Tsa Chih 1997; 11:338-9. 23. Brunelli G, ed. Textbook of Microsurgery. 1988 Masson. 24. Leclercq DC, Carlier AJ, Khuc T et al. Improvement in the results in 64 ulnar nerve associated with arterial repair. J Hand Surg Suppl 1985; 10A:997-9. 25. Merle M, Amend P, Cour C et al. Microsurgical repair of peripheral nerve lesion: a study of 150 injuries of the median and ulnar nerves. Peripheral Nerve Repair and Regeneration 1986; 2:17-26. 26. Millesi H, Meissl G. Consequences of tension at the suture site. In: Gorio A, Millesi H, Mingrino S, eds. Posttraumatic Peripheral Nerve regeneration. New York: Raven Press 1981; 277-293. 27. Deutinger M, Girsch W, Burggasser G et al. Clinical application of motosensory differentiated nerve repair. Microsurgery 1993; 14:297-303. 28. Meyer VE, ed. Upper Extremity Replantation. New York: Churchill Livingstone, 1985. 29. de Medinaceli L, ed. Cell Surgery to Repair Divided Nerves. New York-Paris: C.A.S.I.S.-C.I.D. 1994. 30. Cabaud HE, Rodkey WG, McCarroll HR Jr et al. Epineurial and perineurial fascicular nerve repairs: a critical comparison. J Hand Surg [Am] 1976; 1:131-7. 31. Narakas A. The use of fibrin glue in repair of peripheral nerves. Orthop Clin North Am 1988; 19:187-99. 32. Fischer DW, Beggs JL, Kenshalo DL Jr, et al. Comparative study of microepineurial anastomoses with the use of CO2 laser and suture techniques in rat sciatic nerves: Part 1. Surgical technique, nerve action potentials, and morphological studies. Neurosurgery 1985; 17:300-8. 33. Lundborg G, Dahlin L, Danielsen N, Zhao Q. Trophism, tropism and specificity in nerve regeneration. J Reconstr Microsurg 1994; 5:345-354. 34. Lundborg G, Rosen B, Dahlin L et al. Tubular versus conventional repair of median and ulnar nerves in human forearm: Early results from a prospective, randomized, clinical study. J Hand Surg [Am] 1997; 22:99-106. 35. Ide C. Nerve regeneration through the basal lamina scaffold of the skeletal muscle. Neurosci Res 1984; 1:379-391. 36. Smith RG, Appel SH. Extracts of skeletal muscle increase neurite outgrowth and cholinergic activity of fetal rat spinal motor neurons. Science 1983; 219:1079-81. 37. Battiston B, Tos P, Geuna S et al. Nerve repair by means of vein filled with muscle grafts. II. 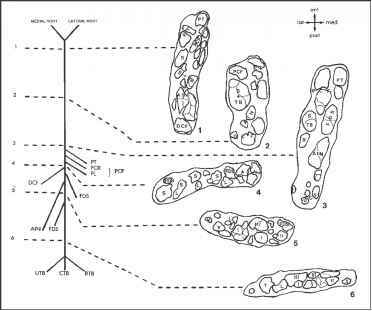 Morphological analysis of regeneration. Microsurgery 2000; 20(1):37-41. 38. Battiston B, Tos P, Cushway T, Geuna S. Nerve repair by means of vein filled with muscle grafts. I. Clinical results. Microsurgery 2000; 20(1):32-6. 39. Tos P, Battiston B, Geuna S et al. Tissue specificity in rat peripheral nerve regeneration through combined skeletal muscle and vein conduit grafts. Microsurgery 2000; 20(2):65-71. Can lesioned nerve be stitched?